The Dollar Photo Club will be permanently closed on April 15, 2016. Many creative members, such as bloggers and designers, will have one less stock photo website to purchase and download high quality images at a great price from. Fortunately, another stock site with fairly the same kind of product opens. 99 Club by Stock Photo Secrets offers its newest members with 200 XXL images for only $99 per year. It welcomes Dollar Photo Club expired members and non-members to join. Adobe Stock and 99 Club: Which is a better Dollar Photo Club alternative? Since Adobe Stock acquired the Dollar Photo Club, members have the choice to transfer their accounts. Now, what are the benefits of doing so? The Dollar Photo Club ensures a smooth transition for its members. It gives them the opportunity to transfer their unused downloads and use them within a year without financial commitment. All transfers should be completed before April 15. After that, the remaining downloads will be void and the service will no longer be available. Adobe Stock also provides Dollar Photo Club expired members with an amazing discount. For one year, they can download 10 images per month for only $9.99. Additional downloads will be available for $0.99 per image for the promotion. After one year, standard subscription rates will be resume – unless cancelled. Of course, an Adobe ID is required to avail of the promotion. Unfortunately, purchase from Adobe Stock is not possible in all countries. On the other hand, 99 Club provides both Dollar Photo Club members and non-members equal opportunity to its amazing offer. For only $99 per year, they can download and use 200 XXL premium quality stock images – double the amount of image downloads offered by the Dollar Photo Club. The stock site has a continually growing collection with over 4 million images in the library and 60,000 to 80,000 new images added every month. 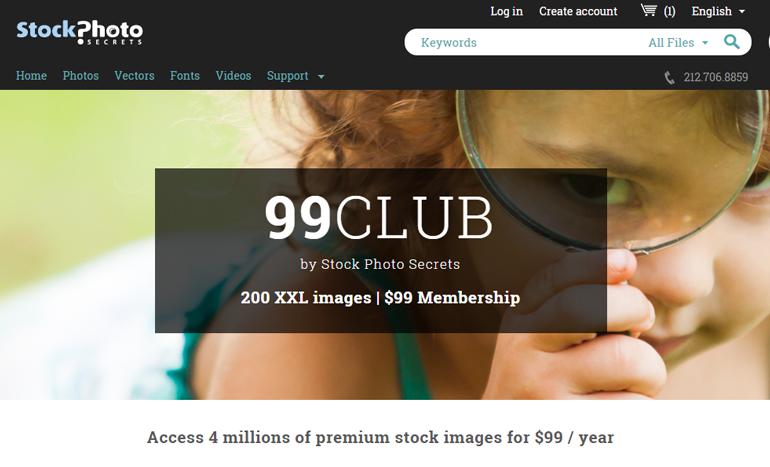 What makes the 99 Club a better Dollar Photo Club alternative? Well, the number of downloads for a ridiculously low price is reason enough. Members will have access to high resolution images with royalty-free license and model/property releases included. They can also use the images in any project forever since the creative assets do no expire. Furthermore, they do not have to worry about additional fees or auto-renew. The Dollar Photo Club does not accept new clients any more. It is also preventing its current members to update their billing information and renew their membership. After April 15, members will no longer have access to their member area and purchase history. All unused downloads will not be refunded. However, they can be retrieved by moving their accounts to Adobe Stock. Features and benefits considered, while Adobe Stock is a good alternative, it is not better than 99 Club. What’s Wrong with Most WordPress Photo Plugins?